Thanks to Pinterest for introducing me to a whole new world of diy cocktails. It was because of them, I discovered Skittles flavored vodka. Apparently this was common college "fancy" drank but sadly I missed that part of my collegiate career. Wine is my beverage of choice most nights. One glass. Red. It's healthy, right? When I'm having a night in (or the rare out) with mom friends, I like sugary sweet brightly hued beverages to accompany the gab fest. I recommend spreading out the steps over a few days. Separating Skittles is tedious and so is the filtering so it's better to just go slow if you're planning to taste all 5 flavors of the rainbow! 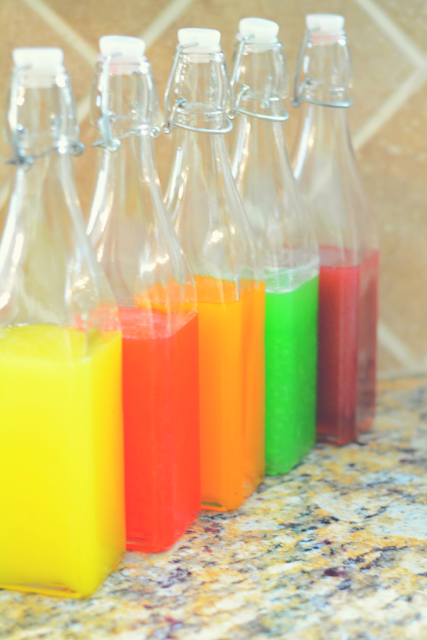 jars / bottles with tight fitting lid for the "marinating"
Separate the Skittles colors. Add 100 Skittles to a jar. Pour in 5oz of vodka. Give it a shake or 2 and allow to sit at least 24 hours. 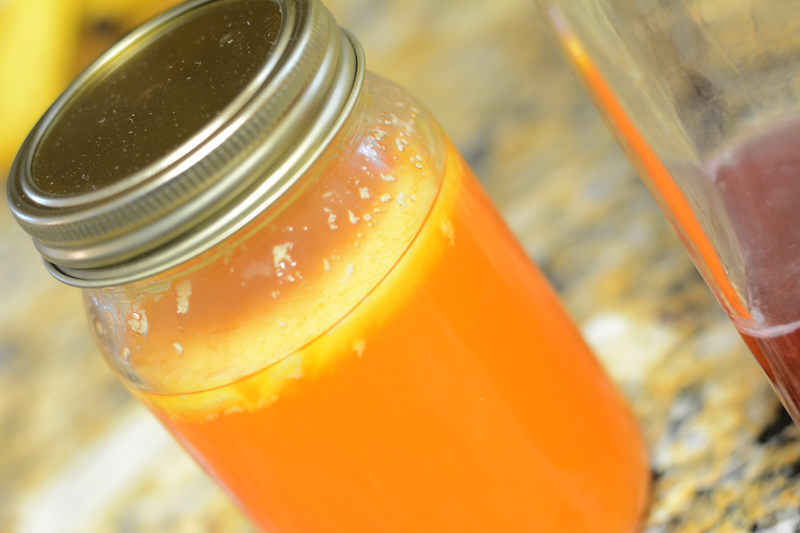 I recommend 2 - 3 days to give the white part (don't ask, don't tell) enough time to dissolve or float to the top. 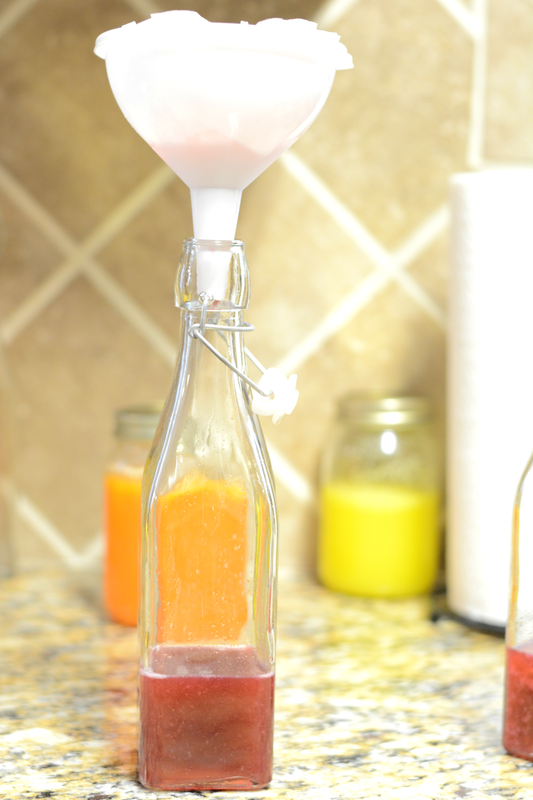 Line the funnel with a filter and pour the mix into a bottle. Go slow. You may have to wiggle the filter around a bit to keep the flow moving. I had a lot of the "white stuff" in all of mine except for lemon yellow which was allowed to sit the longest. Place bottles in freezer to get them nice and cold. It's really sweet and strong as all good Barbie drinks should be. Green apple is especially delicious. 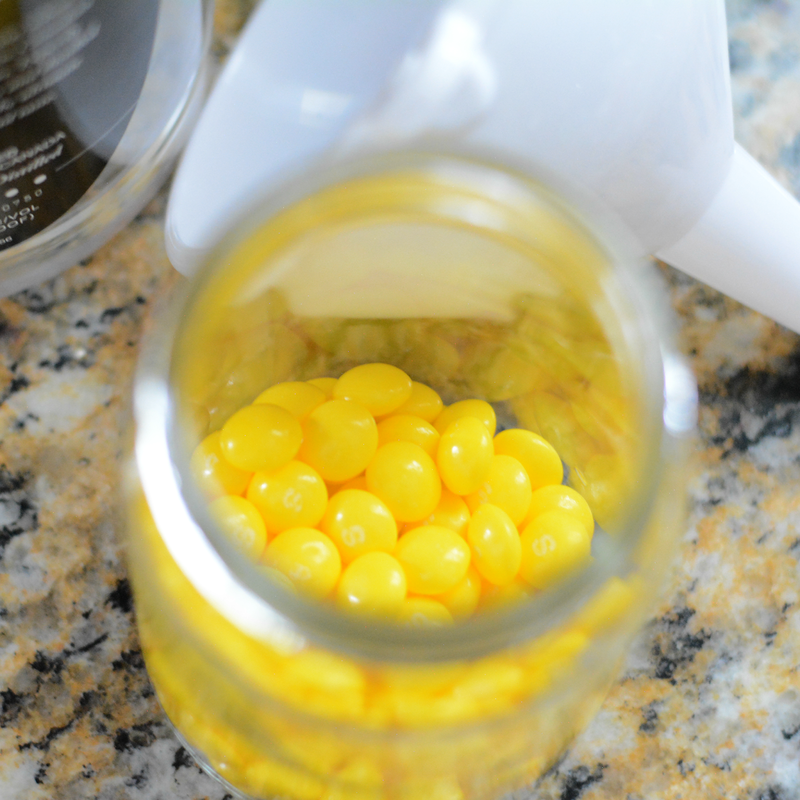 You can mix them with sparkling water, combine flavors or add other mixers. 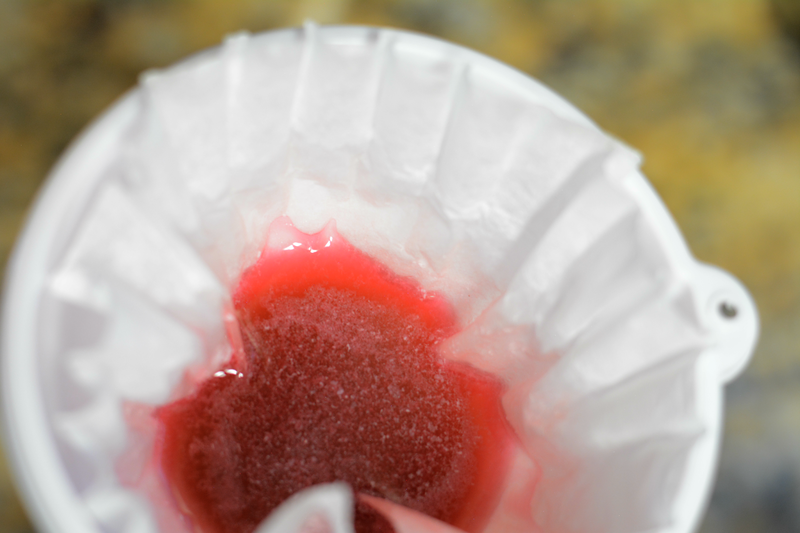 Shake it up and pour over ice. Invite your friends over and enjoy! 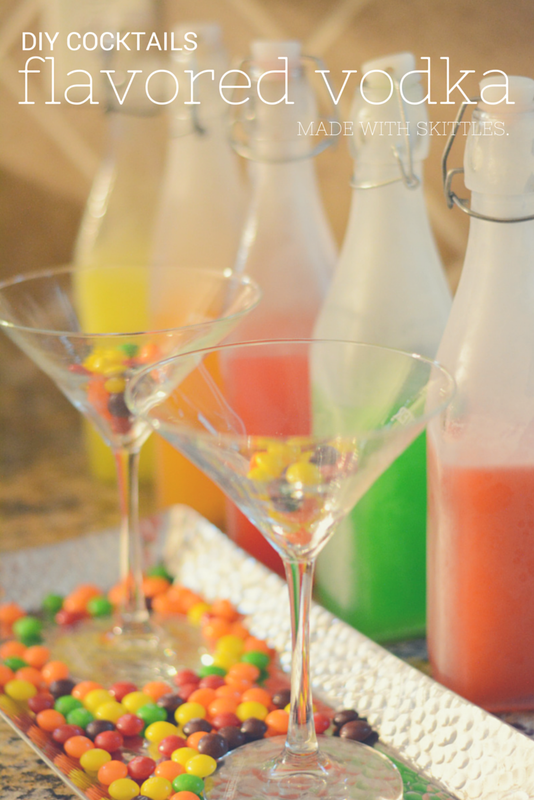 Have you tried skittles vodka? I missed out on this too. . .but I am so eager to try this next. I love the colors and vodka is my kind of drink. Thanks. BTW - my blog is now "CocoNeti". Enjoy your week! Oooh, I normally drink fruity ciders as I like my drinks sweet and flavoursome, def fancy giving this a try! I'm still in college and I apparently missed out on it, too! But MAN sounds fantastic. Will try!